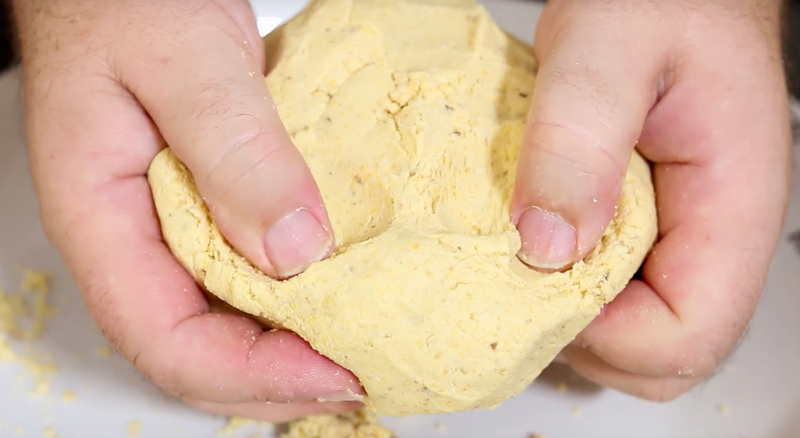 Homemade Fresh Masa – This video has taken a while to produce but I think it is worth the wait. In a large saucepan pour in 6 cups of water and add you dried corn. Carefully add the pickling lime and stir through. Place onto the heat and bring to the boil, then simmer for 10 minutes. Now turn off the heat, cover and leave for overnight, even up to 14 hours is fine. After the corn has been left in the alkaline solution overnight, rinse under cold water thoroughly. Use your hands to gently rub the corn kernels together to remove the outer husks/skins. Continue to rub and rinse till most of the skins have been removed. You do not need to remove all the skins 100% but just until you see less skins in the water. 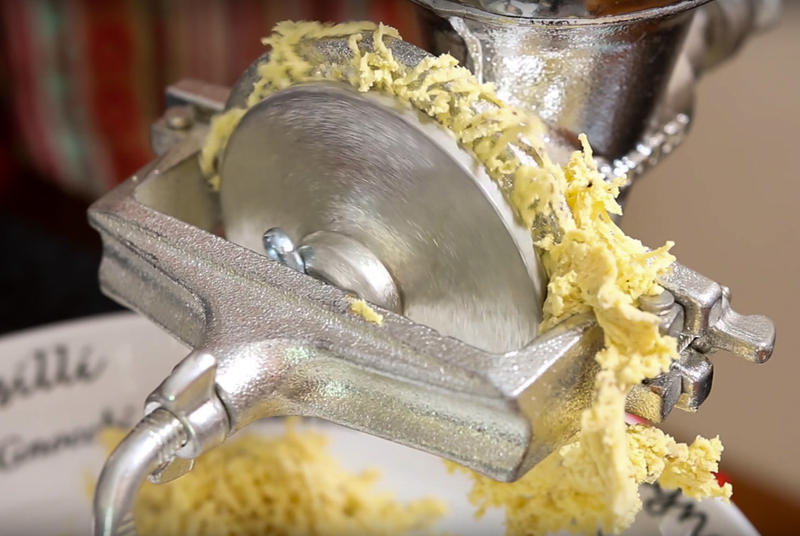 Now you can either blitz in a powerful food processor with a splash of water or use a corn mill like I did, again adding a little water as you grind. 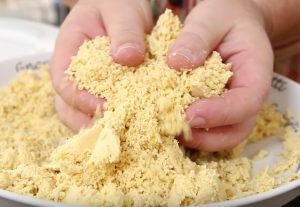 If when you have ground all of the corn the masa dough feels a little dry add a splash or two of water. But be careful to not add too much as it quickly becomes too wet. 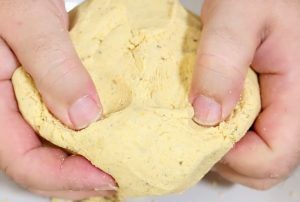 You masa dough is now ready to be used, stored in the fridge for a day or 2 or even frozen for use at a later date.